The question was popped and the answer was a “YES!” Now the fun really begins. 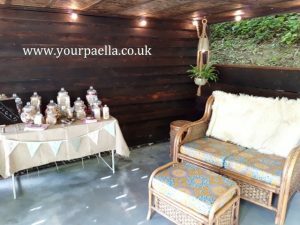 There’s a lot to sort out when you’er getting married and it can cause some sleepless nights, so I have decided to write down some hints and tips when it comes to finding the outside caterer. 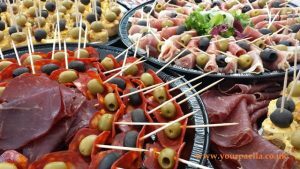 Getting the right caterer will take a lot of stress off you if you get it right. There are a few simple things that you can do to be sure that your not going to get let down the week before the wedding or that the food is in fact safe to eat. The last thing you want is to poison the guests! So you’ve decided on the type of food that you want and have started to look across the internet to find the perfect fit. You have got it down to three company’s you like the look of so how do you know who will be best for your big day. Well one way is to ask if you can try the food before you make any commitment to book. If this isn’t possible like with my company then ask if they have any past client’s reviews. Preferably on another website like www.yell.com that anyone can access and leave a review. Google will also show any reviews that have been left on a Google registered business. I didn’t even know people could leave reviews on my Google listing until I happened to notice people had in fact left reviews about us. So now you are armed with a lot of reviews you need to check a couple of other things. Is the company you want to cater for your wedding registered with their local councils food and hygiene inspector? This should be very easy to find out, just ask the catering company what council they are listed with and what star rating they have. You should then be able to look at that councils website and find the company listed with their star rating. 5 Stars is best. If you can’t find them on the council website just give the council a ring and they should be able to help. We are registered with our local council but I’ve never found us on their website. Some are better than others I guess. The food hygiene star rating will not tell you how good the food is, it will just let you know that the caterers know how to prepare and serve the food they make safely. If the company you want to use isn’t registered find out why as it is a legal requirement. I would advise NOT using any catering company that is not registered with their local council food hygiene inspectors. 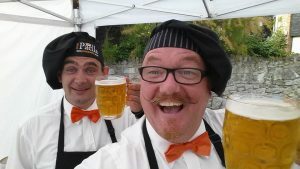 You will need to check the caterers Insurance and be sure that you and the venue are happy with it because if there is a problem you don’t want it on your head. 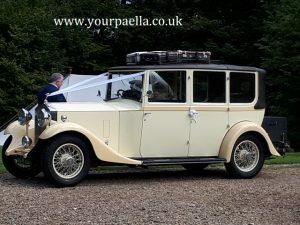 We all know things can go wrong with even a brand new vehicle so it may be a good idea to ask the caterer what would be the plan if a breakdown was to happen before or on the way to set up for the wedding. We have AA cover that will recover us and take us anywhere we want to go. We also use as new a vehicle as possible so to limit the chance of a breakdown. We also set off in good time to be sure we arrive in good time even if there’s a hold up on the roads. If you’re on a budget and you find the caterer you want and you have chosen the menu you like but the quote has come back over your budget, always tell the caterer and in many cases they will try and get you what you want within your budget. I’m not saying every catering company will do that but I know we do and it never hurts to ask. We often get clients asking us to add a little extra or they tell us they really want to use our services but company “XYZ” can do it a bit cheaper so when ever possible we try and match a like for like quote. So many times we have spoken to future Bride and Grooms and many have told us story’s of a friends wedding where they never had enough food and the last thing they want for their wedding is to not book enough food. Stay calm, just have a good chat with the caterer about numbers and about exactly what you want. This may sound obvious but you will be looking at a great many things for your wedding and over catering because “You Think” that may be enough when in fact it’s far too much and you’re just throwing money away. It’s really important to get a confident feeling when talking with any prospective catering company. While talking if you feel confident with all the answers to your questions this will be a very good sign that your catering will be in good hands. Part of the service we provide to to help our clients feel very confident that the catering at least is all sorted and no longer a worry. Now you can go on to the next item on your wedding list. I hope that helped you a little and we hope that your special day is everything and more than you hoped for. The best of luck to you both in your future together. Having fun at a party. 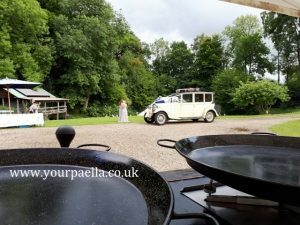 https://www.yourpaella.co.uk/wp-content/uploads/2017/05/wedding-paella.jpg 1280 1920 Gary Evans https://www.yourpaella.co.uk/wp-content/uploads/2019/01/logotrans1-300x106-300x106.png Gary Evans2018-03-15 18:36:362018-03-15 18:45:12Wedding Catering Advice. 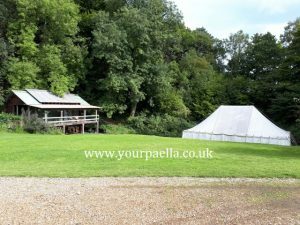 If your thinking of having a Paella Party, your in the right place! Paella at a party is a great choice and here are some of the questions that Your Paella have been asked when perspective clients have called for more information. 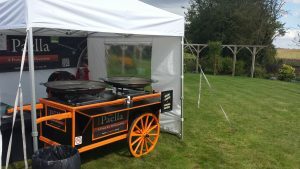 Serving fresh cooked Paella at a party or event. 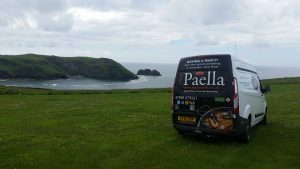 We asked Gary, the owner of Your Paella what common questions are asked when people contact Your Paella? The next question asked is “What types of Paella will you supply at the £8.50 per head price?” This will depend on a couple of things. 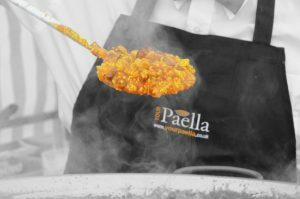 Lets first say that the client would like 100 portions of Your Paella, we can cook one Paella pan full of 50 portions of a “Mixed Paella” & 50 portions in the other Paella pan of a “Meat Paella” or a “Vegetable Paella” . We can also cook both Paella pans (50 portions in each) with the same Paella, ie. all “Mixed Paella.” The choice is the clients, but the good news is, the price will stay the same. 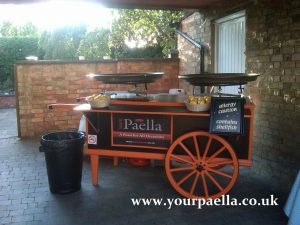 Below is an image of the Your Paella Paella cart. This comes to your Paella Party and the 2 large Paella pans are on top, ready to cook Your Paella! 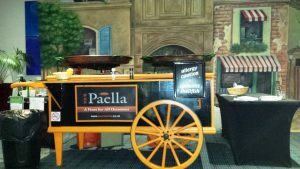 Another question we are asked is, “Will you bring the Paella cart (above) and everything needed to cook Your Paella?” The answer is “Yes” As you see the Paella cart above is how you will have Your Paella cooked at your Paella Party. Its all part of the £8.50 per head price. Based on our example above of 100 portions booked in price band 1. If we are serving at night we will need access to an electrical point to plug in our lights. Other than that we have everything we need. 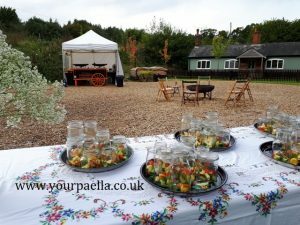 A common question we are asked is ” I want to hold a Paella Party for 20 or 25 guests. 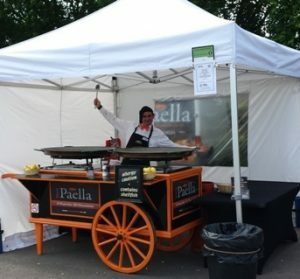 Can you still come and cook Your Paella for me?” Again the answer is “Yes” although if we are to bring the Paella cart and everything that comes with it (below) it will cost more than £8.50 per head. 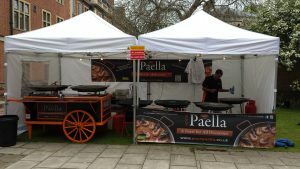 This is due to the fact that its the same amount of work to bring the Paella cart and set up to cook 100 portions as it is to cook 20 or 25 portions etc. Lets say we only need to cook 20 portions of Your Paella. Again we can cook the Paella of the clients choice, but we don’t need to bring so much stuff to achieve this. All we would need in this case is a Paella pan with its burner, the gas bottle and the ingredients. 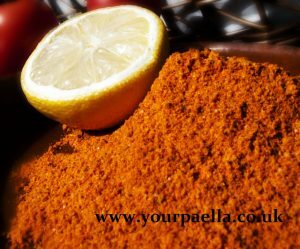 We can then cook Your Paella in your kitchen, or another suitable place. This will keep the cost down. 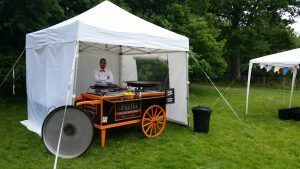 If our client wants the Paella cart and is happy to pay for it then that’s fine and we will bring it. 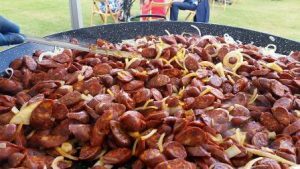 Another common question we are asked is “I want 100 portions of Your Paella, a “Mixed Paella” but I have a few Vegetarians coming to my Paella Party. What can we provide for them?” What we recommend is “Potatas Bravas” or in English “Spicy Potato” Now you may have tried this before, but we make this to our own recipe and make the source from scratch. Its a real winner with the vegetarians and we can provide this on the side for a minimum of 10 portions, again at just £8.50 per portion! Of course we can provide a “Bespoke” service if needed, but its always best to contact us to discuss individual requirements. 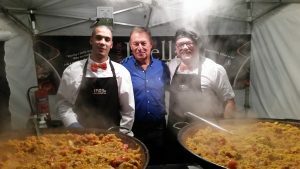 We are more than happy to help you have the best Paella Party Ever! 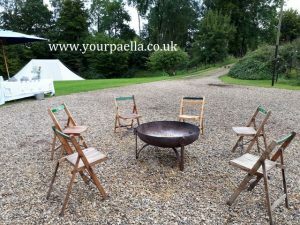 You can find much more information on the website www.yourpaella.co.uk or though out the rest of this Blog. 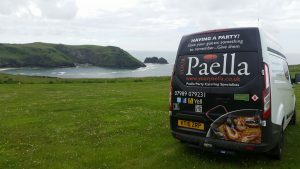 When your looking for a great Paella Catering Company, take a moment to checkout www.yourpaella.co.uk. Arguably the best for taste and value in the whole of the UK! 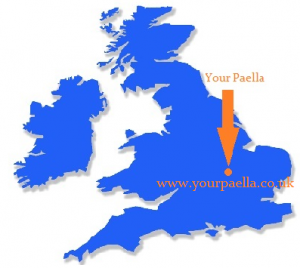 Your Paella, the Paella Catering Company cover the whole of the UK. Their prices start from just £8.50 per head if you are lucky enough to live within Band 1. on the UK map. 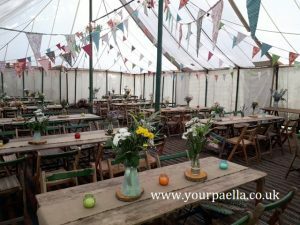 You can check to see what Band you live in to help workout the cost of hiring Your Paella for your next special occasion Maybe a Birthday party or a wedding? Just Click Here to find what Band you live in. 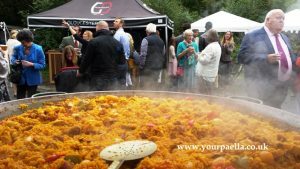 Whatever the occasion Your Paella are the perfect solution to your outside catering needs. 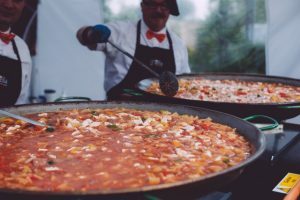 The average cost of hiring Your Paella is between *£850.00 to *£1000.00 depending on the amount of Paella to be cooked and the location of the party. *The prices above are based on at least 100 portions being cooked and cover most of the UK although other factors can have an affect on pricing. 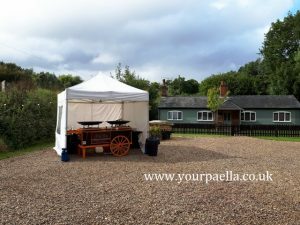 The easy way to get a price for your event or party is to Contact Your Paella. They will be more than happy to give you a no obligation quote for free. 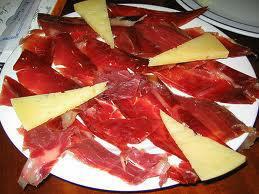 Your Paella also offer “Tapas” and mixed green salad to accompany the Paella. 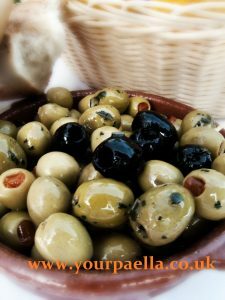 At the time of typing this article, the cost of a mixed green salad with Tomato, Cucumber, Olives, Bread roll with butter comes in at just £2.50 per head! I’m sure you will agree that, that’s great value for money! They can even supply a range of single serving desserts @£3.50 per head! You can see the range of dessert’s if you Click Here. 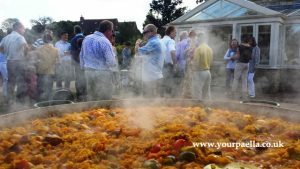 So now you know who and what Your Paella can bring to your party, why not Contact them today a give your guests that bit extra? Why not give them, Your Paella! 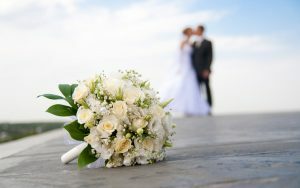 When it comes to getting married or having a civil ceremony, it can be very expensive. Its said that the average wedding costs £21,000 at the moment. So what next? Well if you want a designer wedding dress at a bargain price, it may pay to check out the local charity shops. Make sure you ask at the counter if they have any wedding dresses out the back. Sometimes they don’t always have them hanging up in the shop. You could also search for the charity shops online and email them to see if they have any in a different shop that’s out of your area. You may want to check out any independent bridal shops in your area too. They may have more flexibility on the prices and may be happy to haggle on the price. Don’t be shy about asking for a cheaper deal, or if they have anything that’s “out the back” that you may be able to repair or adapt yourself. If you don’t ask you’ll never know if they have it. Ebay.co.uk is another good place to search for a bargain wedding dress. can easily set you back £300. Why not try making your own wedding invites? A good website to check out is Weddingcrafter.co.uk. Making things yourself is quite stylish and can save two-thirds of the cost. 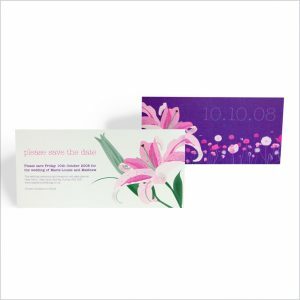 You may also want to take a look at Lovely Designs for a cost effective and personal service. the reception. You could make a coffee-table style book with your photos on the Blurb.co.uk website. This may save you a couple of grand! Hide your excitement when you book anything from the venue to the photographer. Your Paella won’t try and charge you more just because its a wedding. The price is the same regardless of the occasion. knocked down by getting it off-peak. A nice friendly venue can be found at Millhouse Hotel and Riverside Restaurant. I’m sure you know who I’m going to recommend here, yep, you got it! Your Paella! Because Your Paella cook in such large Paella pans, it keeps the cost down compared to a three or more course menu. There is so much more work involved in cooking various courses. 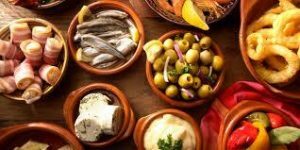 Maybe you would like to keep the costs down further by just having Your Paella cook the main meal and you supply the side salad, bread rolls and dessert? 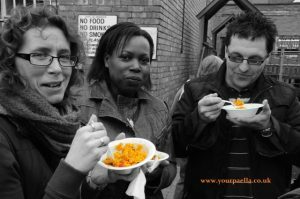 Or Your Paella can supply you with everything, from Tapas starters to single serving dessert? It may be that you would like casual fun type food to be served in the evening?Your Paella is the perfect choice for the evening food. 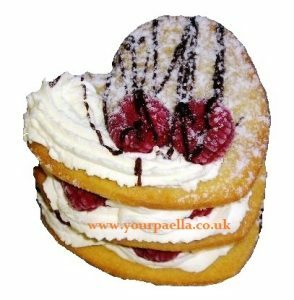 Other savings include serving cake as a pudding, so you don’t also pay for dessert; having sponge instead of fruit cake, having “pudding cakes” such as a tower of profiteroles, or cake made of cheese. “If you’re set on a traditional cake, having two tiers instead of three can save £200! Collecting and assembling it yourself also saves pounds. is having a cash bar, or hopping across the channel to pick up cheaper drinks. You could even make some yourself. A good homebrew shop is The Happy Brewer. This is their website: www.thehappybrewer.co.uk. We have used The Happy Brewer for wines and beers and they give some great advice. present? Another way of getting a great deal on a holiday is to look at going to a resort that has had some kind of conflict in the country the year before. About one year after the conflict in the Dominican Republic, you could find 5 star all inclusive package deals at a whooping 50% off! How ever you decide to get married, we hope its a fantastic day and your love for each other lasts a lifetime! Good luck!